There is plenty of evidence that juicing can help people eat more fruits and vegetables, provide our bodies with easy-to-digest vitamins and minerals, and serve up disease-fighting and anti-aging antioxidants. We know it is best to purchase organic produce when possible, to avoid genetically modified foods and to seek out the freshest produce we can find to have the most nutrient-dense foods. Most folks also know that buying the amount of organic produce necessary to maintain a regular juicing routine can be quite expensive and requires frequent trips to the grocery store to keep your refrigerator stocked without losing produce to spoilage. Knowing all of this, some people choose to grow at least part of their juicing ingredients right at home to make juicing more convenient and less expensive. Regular juicing requires a lot of produce, so it is important to note that most people most likely do not have the space or time to meet all of their juicing needs with food from their backyard garden. However, if you can cut down a bit on your grocery bill and save yourself at least a few trips to the store, you will likely find that it is well worth it to grow at least some of your juicing ingredients at home. Growing some of your own food also allows you to know exactly where that food came from, what was used to grow it and that it is as fresh as possible when it comes from just a few feet away from your kitchen. While you may not be able to meet all of your produce needs, a backyard juicing garden is a great way to supplement the fruits, vegetables and herbs you currently buy at the farmers’ market, produce stand or local grocery store. Plus, it is quite handy to be able to throw a quick juice together with some spinach, tomatoes and parsley from your garden when you have not had time to go the market. 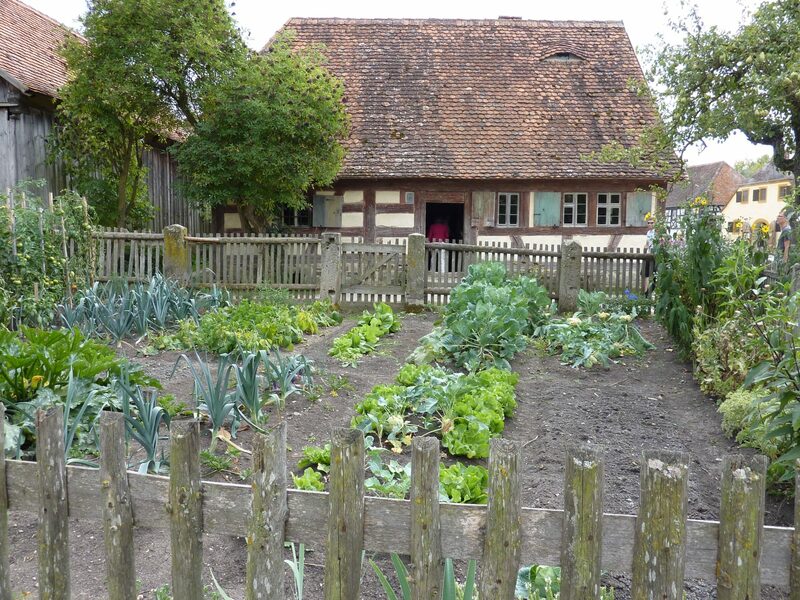 The more room and time you have, the more produce you can grow, but folks with limited space should not be dissuaded from installing at least a small potager. You can grow a small space juicing garden in containers on your patio, in a raised garden bed or in a plot that is no larger than 10 square feet in size. If your garden space is limited, you will need to pick just a few favorites to include. Here are nine options to consider that you can use in either an extraction juicer or blender to make fresh juices. 1. 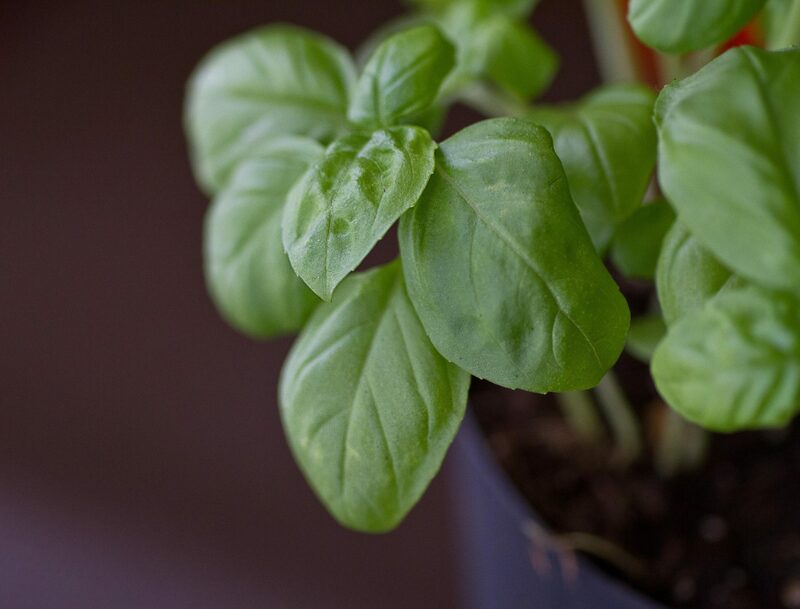 Basil: This aromatic herb is easy to grow and adds great flavor to juicing recipes. It is high in vitamin K and has historically been used for its anti-inflammatory and anti-bacterial properties. Basil prefers moist, well-draining soil in a sunny spot in your garden. It is easy to tell if you are not watering your basil plants enough, since the leaves will noticeably droop and wilt. 2. Parsley: Parsley takes a while to get going, but once it is established and going strong, it can provide you with plenty of parsley for your juicing needs. While it does not add as much flavor to your juice as basil does, it is packed with nutrients. This includes vitamin K, vitamin C, iron, folate and vitamin A. Historically, parsley has been used for detoxing the liver, reducing the risk of developing cancer or diabetes, and freshening breath. 3. 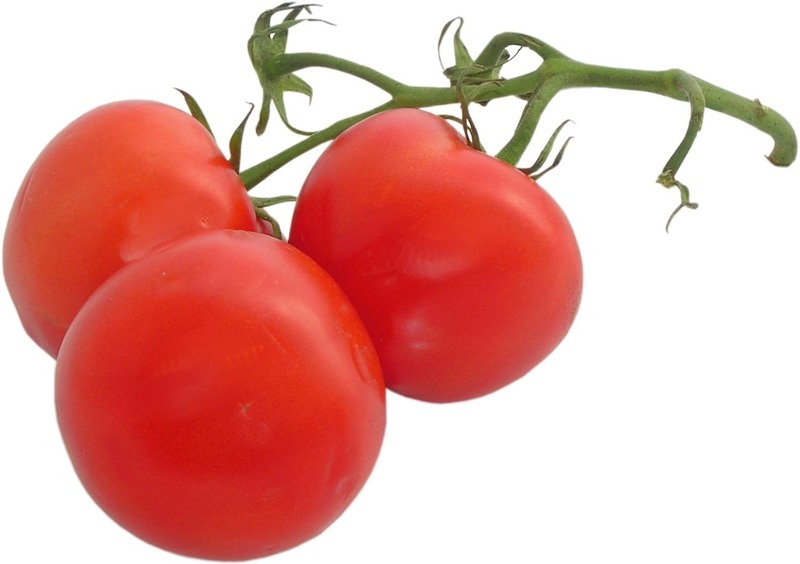 Tomatoes: Tomatoes are just so easy to grow that any backyard garden should have at least one tomato plant. Tomatoes are a great base for lots of simple juicing recipes and have plenty of other culinary uses. They offer a variety of vitamins and minerals — such as vitamin C, vitamin K, vitamin A and copper — and are rich in lycopene, which has been linked to reducing the risk of cancer and cardiovascular disease. 4. Kale: Dark, leafy greens are a great addition to fresh juices. Kale can be easily started from seed indoors or right in your garden. If you prefer starting from seedlings, your local garden center is sure to have plenty in stock during the best times to plant it in your area. Many long-time juicing enthusiasts believe dark, leafy greens are among the most important and beneficial ingredients to include when juicing. 5. Spinach: This is another dark, leafy green that is easy to grow in your juicing garden. Spinach plants can be quite prolific and allow you to take just what you need, and then come back for more as they keep producing more leaves. Spinach plants like nutrient-rich, well-draining soil and grows as an annual. To extend your harvest, try planting in cycles about 10-14 days apart. 6. Carrots: If you are maximizing a small space for your juicing garden, carrots are a great option for growing around the perimeter with your taller plants — like tomatoes or cucumbers — planted in the middle of the bed. Since these are root vegetables that grow deep, be sure to till your soil deeper than you would for most plants. This will provide your carrots with loose soil in which to grow. This is another crop where you can spread out planting days to extend your harvest. 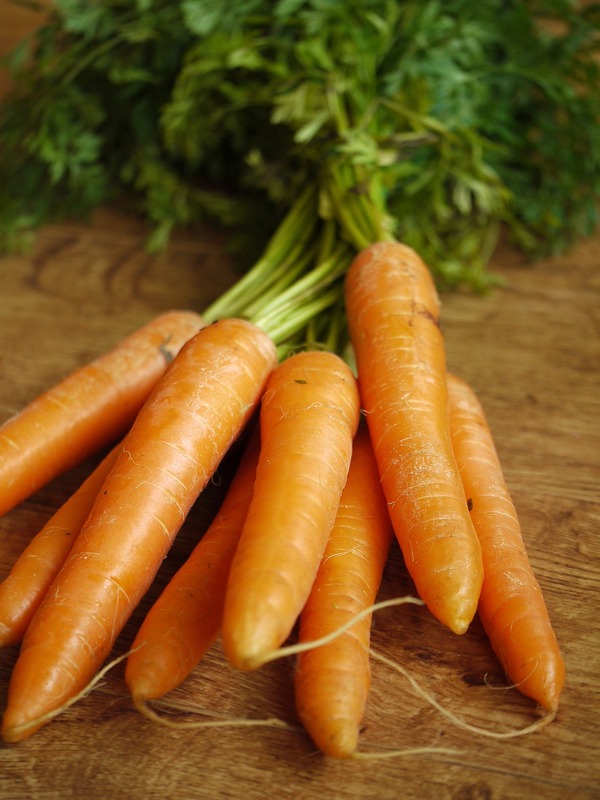 Carrots add lots of nutrients and flavor to fresh juices and are a staple in juicing, so this is one vegetable you should definitely consider growing in your juicing garden. While most of us are used to seeing and growing orange carrots, you can also grow other colors to make your juicing more fun, such as purple, red, yellow or white. 7. Swiss Chard: Chard is easy to grow, does well in Southern California’s warmer climate and is a good source of fiber, vitamin K, potassium, magnesium, vitamin A, vitamin C and more. It is believed to be helpful in preventing diabetes and in treating it naturally through diet. It is also known for its anti-inflammatory and antioxidant qualities. When you are not in the mood for fresh juice, it is also a great addition to salads and can be sautéed as a healthy side dish. This is another plant that allows you to take what you need and will continue to grow new leaves for futures juices. 8. Beets: Like carrots, beets like soil that has been deeply tilled to provide loose, well-draining soil in which to grow. Beets like full sun, so pick a sunny spot in your garden to grow this one. Juicing enthusiasts generally choose this earthy root vegetable for its high vitamin C, vitamin A, potassium, manganese and fiber. 9. 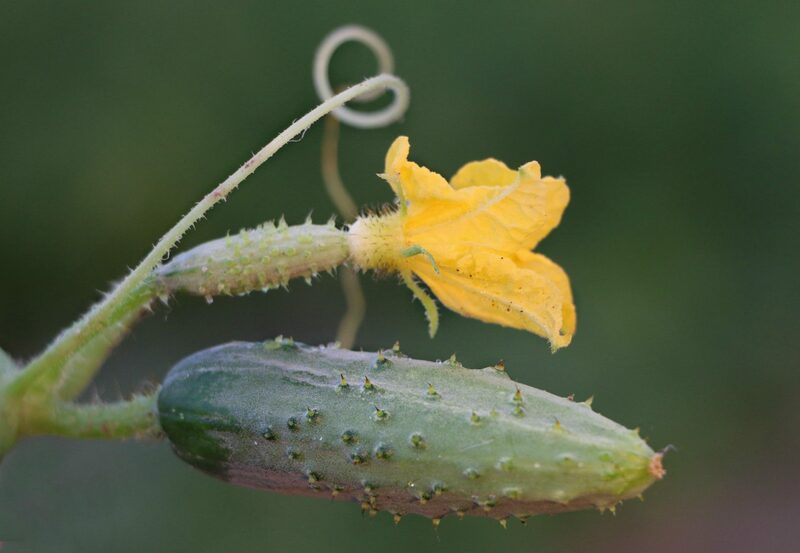 Cucumbers: You can grow cucumbers in containers, in a raised garden bed or in the ground. You will want to support this trailing vine with a tomato cage, stakes or trellis. Cucumbers can be a bit trickier to grow than the other options in this list, but it is well worth a bit of trial and error to have fresh cucumbers to include in juices. Cucumbers make particularly refreshing juices and add vitamin K, B vitamins, potassium, copper and fiber.